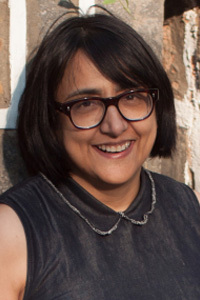 Jagdip is the Fair Director of India Art Fair. Since August 2017, she has been responsible for the strategic enhancement of the fair and its activities in India and beyond. Prior to joining the fair, Jagpal played an important role in the UK–South Asia project initiated by Dr. Maria Balshaw and advised the New Art Exchange, Nottingham on a major Africa–UK project. She has also managed international partnerships and programmes at Tate. Jagpal is a former Trustee of the Wallace Collection and Almeida Theatre in London, and currently serves as the Governor of London School of Economics and a Member of the Development Board at the Royal College of Art.